When Jack Frost returns home to Minnesota, he meets the town's newcomer. She's bubbly, beautiful, and his latest adversary. 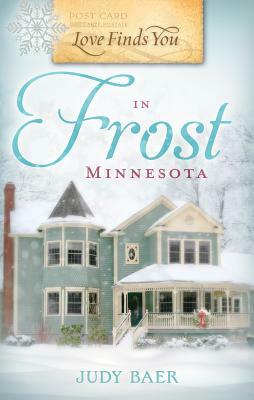 Considering that her name is Merry Noel Blake and she was born on Christmas Eve, it's not surprising that Frost, Minnesota's newest resident, is crazy about the holiday. She has single-handedly convinced the entire town to help her turn Frost into a Christmas destination; there's a tableau of the stable in Bethlehem, a concert, many events at the church, and Merry's own holiday boutique. Jack Frost has always tried to live down his whimsical name -- a gift from his playful parents -- and he does his best to deter Merry from making what he considers a kitschy mockery of the town and the season. But she believes that below Jack's frosty exterior is a warm heart -- and that she is the one to thaw it.